This is an exceptional example of a Patek Philippe reference 2499 from the 1980s which is considered the last or fourth series of the 2499 model. 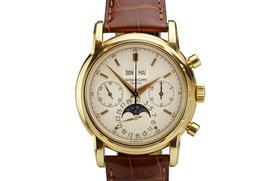 The 2499 is one of the most desired and iconic models ever produced by Patek Philippe. The fourth series 2499 was the least produced model among the other three series. Collectors are highly attracted to this model due to its simple lines and the sapphire crystal which adds extra protection to the watch especially the dial. 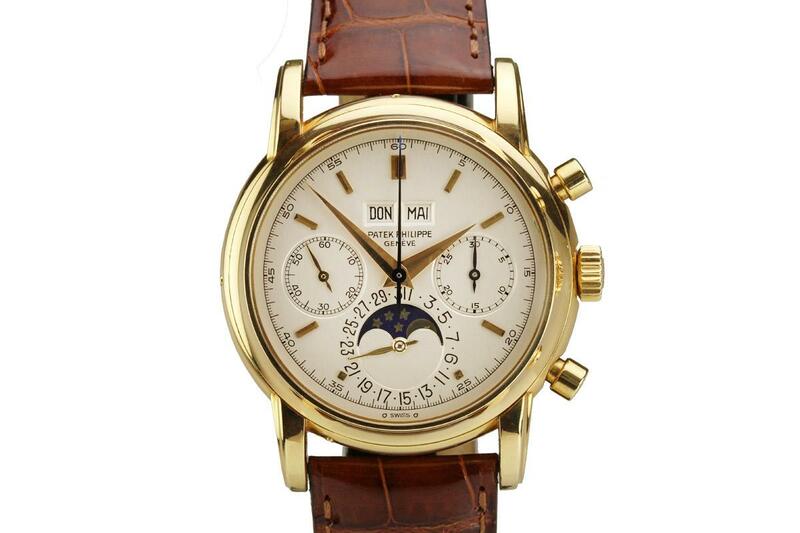 The reference 2499 features a perpetual moon phase chronograph. This particular watch is in mint condition and has never been polished with very sharp lugs, deep hallmarks and the original brushed finish on the back. The dial is also mint with no flaws or marks. 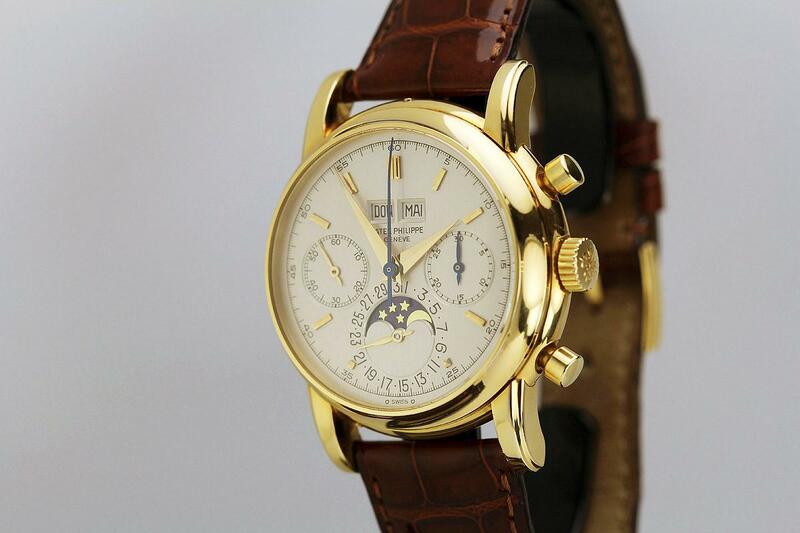 This 2499 comes on a Patek Philippe band and an 18k Patek Philippe buckle.